Do you want to cut your cravings? Besides doing a longer fast like I did recently which shrunk my stomach so I get full faster and cut my cravings for sweets, eating meals like this one really work! 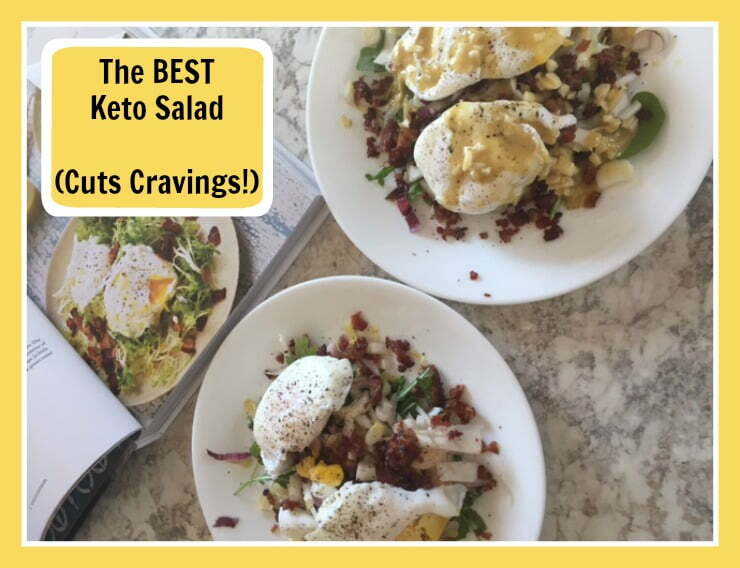 The flavor in this keto salad is OUT of this world and it's absolutely loaded with keto-friendly nutrient-dense healthy fats (egg yolks, bacon fat, oh yeah! ), greens and proteins, so if you eat it for breakfast you're satisfied. All. Day. Long. And if you eat this salad for dinner, you don't feel deprived in the least. 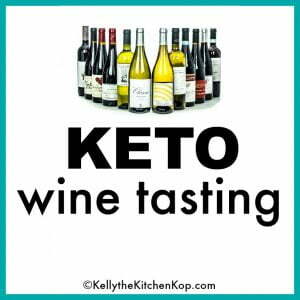 The other thing I love about this keto salad is that it's a tasty way to get in more apple cider vinegar without drinking it straight like a lot of people do for the many health benefits. 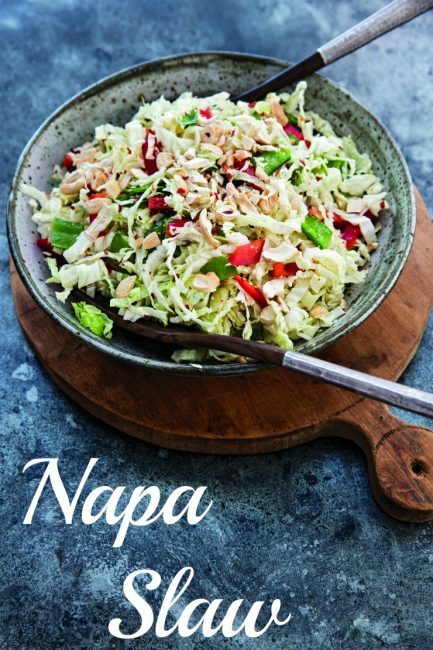 (This Napa Slaw is another tasty salad with apple cider vinegar in the dressing.) 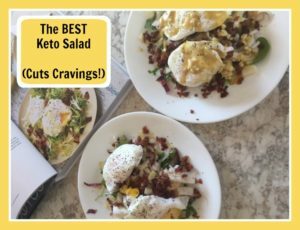 The only downside of this keto salad is your garlic breath afterward but: WORTH IT. 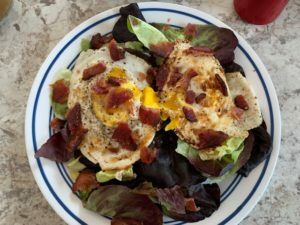 Again, this recipe is adapted from the Whole30 cookbook. See more pictures at the bottom of this post! 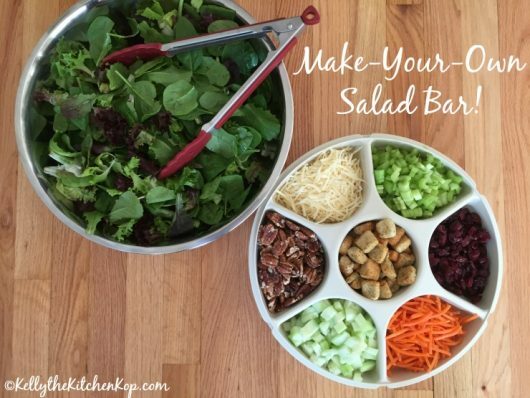 Lettuce greens, nothing too heavy like kale, but a bunch of colorful mixed greens is nice -- I like endive thrown in if I have it. Organic is best, of course, to avoid the chemicals. 2-3 eggs per person -- I like it with 2, but if you're really hungry, you may want 3. Pastured eggs from a farmer you know and trust is best. 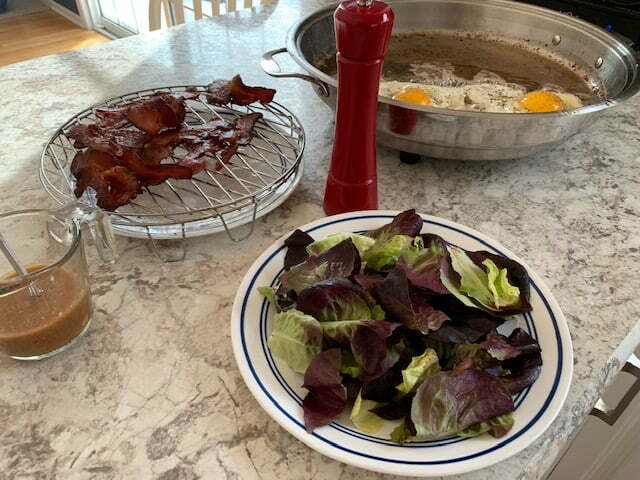 1# pastured bacon (you won't need all of the bacon, you can save it for another salad later, but you'll need the bacon fat), 2-3 pieces or so per person. Get some here if you don't have a good local source for healthy pastured meats. Fry bacon until crisp. 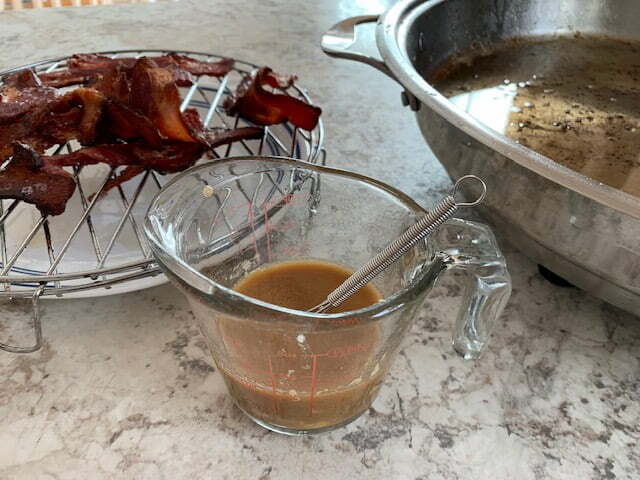 Save the fat drippings to use in the dressing, leaving some of the fat in the pan to fry your eggs in. Soft cooked eggs are the best for this, so fry eggs just 'til done on the outside, leaving the yolk soft and runny if possible. Season with sea salt and pepper. In a small saucepan on low heat, whisk together the dressing ingredients well, just 'til hot and the flavors come together for a minute or two. Add more sea salt and pepper to your taste. 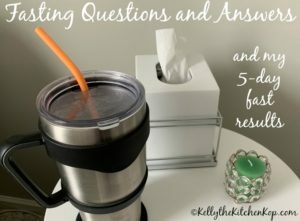 Fasting Q&A's and how my 5-day fast went. Check out my 5-minute homemade mayo video! 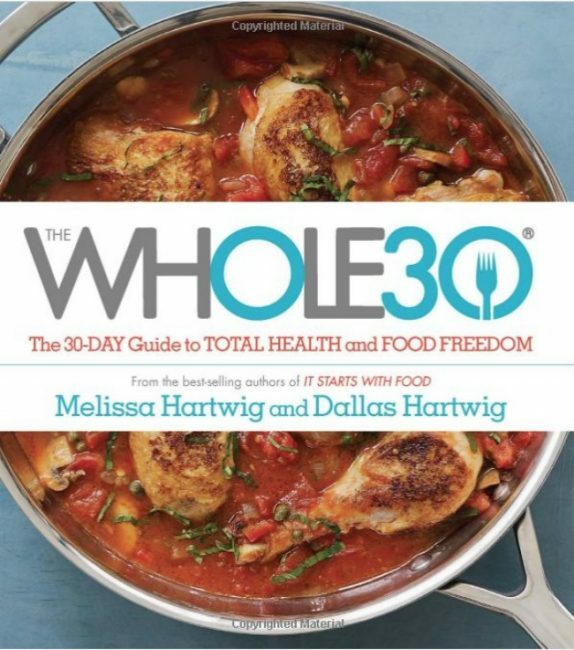 Read about when I did the Whole 30 diet and what I ate (there's a whole list of low-carb/whole-30/keto foods): After the Whole 30.